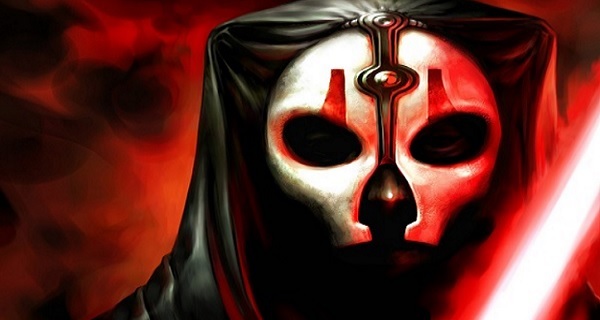 For fans of Star Wars: Knights of the Old Republic II, this day just got a lot better. Without much fanfare, Aspyr Media (in partnership with LucasArts and Disney) have rolled out the update on Steam which includes a ton of new features and improvements. For a game over 10 years old (which is ancient in video games), it’s a surprising development. Continue reading see a listing of some of the new features included in the update. Did you grow up playing those classic point-and-click adventure games people like Ron Gilbert, Tim Schafer, Gary Winnick, Dave Grossman, and Brian Moriarty made for LucasArts? If so, here’s a little treat for you. In 1987 the Gilbert and Winnick title Maniac Mansion was released, which was followed by games like the The Secret of Monkey Island and its sequels, Zak McKracken and the Alien Mindbenders, Loom, and an adaptation Lucasfilm’s Indiana Jones and the Last Crusade. Now Gilbert and Winnick want to deliver a brand new game made in that same old-school style. Why? 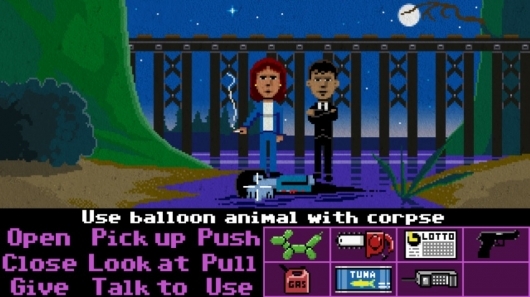 Because they miss them and, according to their Kickstarter campaign page: “We want Thimbleweed Park to be like an undiscovered classic LucasArts’ adventure game you’d never played before. A game discovered in a dusty old desk that puts a smile on your face and sends a wave of nostalgia through you in the same way it does for us.” You can read more about the game and see the Kickstarter video below. 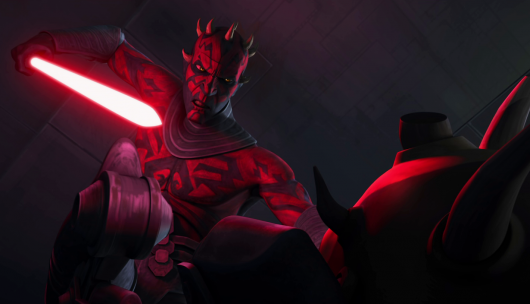 Back in 2010, a new Star Wars video game was being developed by Red Fly Studio that would focus on the Phantom Menace villain Darth Maul and be inspired by Rocksteady’s Batman: Arkham Asylum, which had come out the year before. Ultimately LucasArts decided to cancel the game (the year before Disney acquired the company and we lost games like Star Wars 1313), but a video was recently released that shows off a bit of what the game looked like. Though it appears to be much more like one of the Force Unleashed games than Arkham Asylum, fans of Star Wars and Maul surely would have been thrilled to play it. 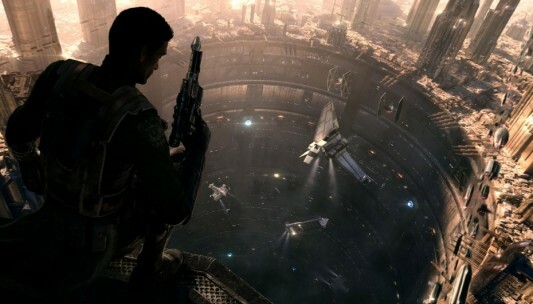 Disney Decides To Close LucasArts; What’s It Mean For Games Like ‘Star Wars 1313’? It’s been often wondered since Disney’s acquisition of Lucasfilm and the announcement of new Star Wars movies whether or not the company would revive or ultimately ruin this beloved franchise. That answer is not yet known, and will not be known for a while—at least not until we see what they do with Star Wars Episode VII. But no matter what happens with the movies, fans have known that some things would be changing…things that they might not necessarily be happy about. The first notable change that upset certain fans was the cancellation of The Clone Wars, the popular animated series on Cartoon Network. Now comes a painful strike to gamers, as Disney has decided to close down LucasArts, the video game development and publishing division responsible for Star Wars titles such as Knights of the Old Republic, Battlefront, and The Force Unleashed, as well as some non-Star Wars games like the Monkey Island series. 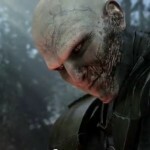 So what does this mean for the future of these game properties and highly anticipated future games like Star Wars 1313? It was thought that this year’s E3 convention would bring with it our first glimpse of Microsoft and/or Sony’s next-generation gaming console. Surprisingly, no one is saying a word…not even a whisper (which is perfectly fine by me—current systems are at their peak and can still give us a couple good years). Even some of the games we’ve seen look so good that it’s hard not to wonder if they’re being made for the current consoles, or if they’re an early unannounced sneaky peek at the future of gaming. One such game is Star Wars 1313, which is probably the most likely candidate of them all to ultimately be revealed as a next-gen game. The reason for this is that, while most of the other games shown release this year or are slated for sometime in 2013, Star Wars 1313 is still in the early stages of production. That means either they’re going to rush to get it out, or it’s still a couple of years off. Usually games that early in development aren’t shown off at E3, but the folks at LucasArts Games wanted to bring a little something along to show off. Prepare yourselves for what you’re about to see (I’m talking to you, Star Wars fanatics), and continue on to watch the videos. What’s more exciting than playing the highly anticipated follow-up to LucasArts’ popular video game title, Star Wars: The Force Unleashed? Playing the game using another LucasArts character from a completely different world: Guybrush Threepwood. Guybrush will apparently be available in Star Wars: The Force Unleashed II as an unlockable and fully playable character, and there’s pictures to prove it! The amusing announcement was made on the game’s official Facebook page, though it is still unclear whether or not once you do figure out how to unlock Guybrush, if you’ll be able to play through the entire campaign with him. Be sure to dust off your Monkey Kombat skills, and click on over to the other side to check out two images featuring Guybrush Threepwood in full Jedi gear. 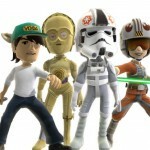 E3 2010: ‘Star Wars’ Stands Tall With ‘Old Republic’ Trailer & New Kinect Game! As usual, Star Wars made a big splash at E3 2010. And not just a big splash with one single title, but with THREE new upcoming titles that they were there to show off. 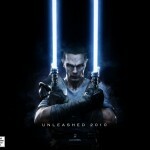 As you may have saw here before E3, a new cinematic trailer for Star Wars: The Force Unleashed II showed up. That by itself was pretty insane, but it was also just the start of a week that should have Star Wars fans drooling everywhere. Aside from Force Unleashed, the other massive game that’s been in development at LucasArts for a long, long time is of course Star Wars: The Old Republic. We have seen a lot of goodies and gameplay for the RPG/MMO title starting at last year’s E3, but the folks from Bioware and EA reloaded and returned set to top themselves with an amazing new cinematic trailer. Use the Schwartz to get yourselves over to the other side to see this trailer and much more as well! This week is a special week for us Star Wars fanatics out there, as it is the 30th anniversary of my personal favorite, The Empire Strikes Back. LucasArts is giving all you Xbox 360 owners a special treat by offering ten Avatar costumes and other Star Wars-themed accessories available for purchase tomorrow (May 20th) on Xbox Live. There’s a nice selection to choose from, including: Imperial snowtrooper (male and female), Boba Fett (male and female), Lando costume with cape (male), Chewbacca (male and female), Rebel snowspeeder pilot (male and female), Han Solo Hoth outfit (male), Leia Hoth outfit (female), Bossk (male and female), C-3PO (male and female), AT-AT pilot (male and female), and props like a tauntaun pet, a ballcap with Yoda ears (male and female), and a lightsaber.